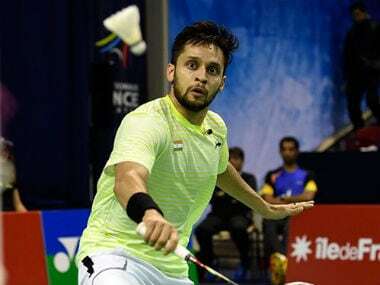 India's campaign at the China Masters Grand Prix Gold ended on Thursday after Parupalli Kashyap and Harsheel Dani bowed out in the men's singles pre- quarterfinals of the USD 150,000 event. 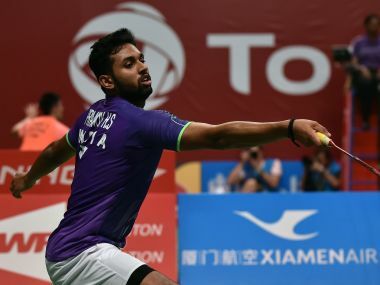 Ace India shuttlers H S Prannoy and P V Sindhu entered the quarterfinals of their respective men's and women's singles matches after posting comfortable straight-game wins at the China Masters Grand Prix Gold badminton tournament in Changzhou on Thursday. Indian men's doubles pair of Pranaav Jerry Chopra and Akshay Dewalkar crossed the opening hurdle, reaching the second round of the China Masters Grand Prix Gold badminton tournament in Changzhou on Wednesday.